Yes! 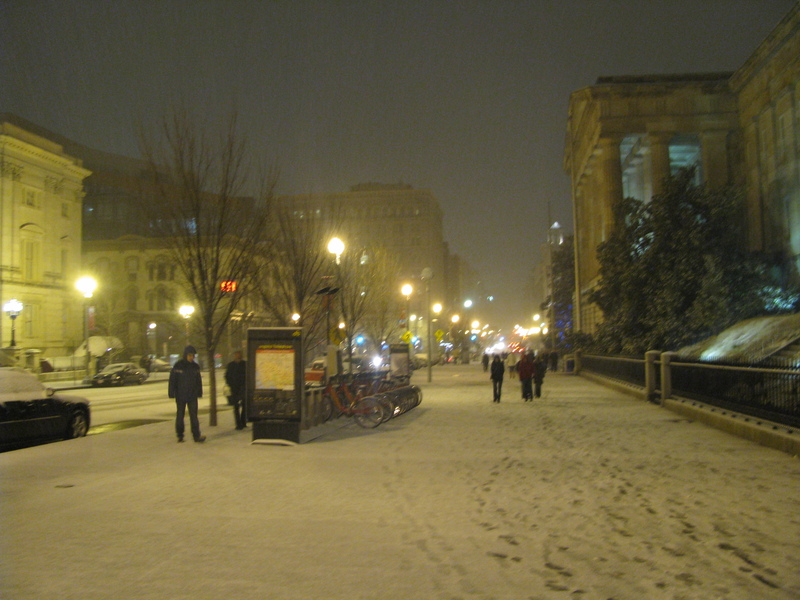 It finally snowed in D.C. lastnight! While we’ve had a few “snow spits” here and there – including a lil’ storm all the way back on October 31 – nothing has really stuck to the ground very long to be considered true snow (at least to our midwestern hearts here). It was pretty wimpy, even for DC standards. It’s what I call an “ornamental snow”: it looks pretty but it doesn’t mess anything up. I’m still waiting for the famous February blizzards…though I’d hate it to affect our big travel plans for next month…knock on wood there!